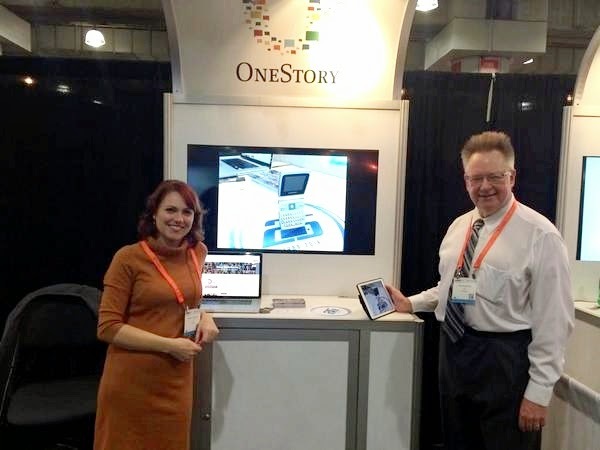 Here's a picture of OneStory.com's Katrina German and I at the booth we shared at New York's Ad:Tech conference earlier this month. If you look closely you'll see I'm holding an iPad in my hand, and up on the screen you'll see one of about a dozen Augmented Reality cell phones being generated as the iPad looks at the flat icon on the counter. This is for an AR presentation we created this summer for SaskTel (in collaboration with Captive and MGM Communications) in celebration of the 25th anniversary of cell phones in Saskatchewan. 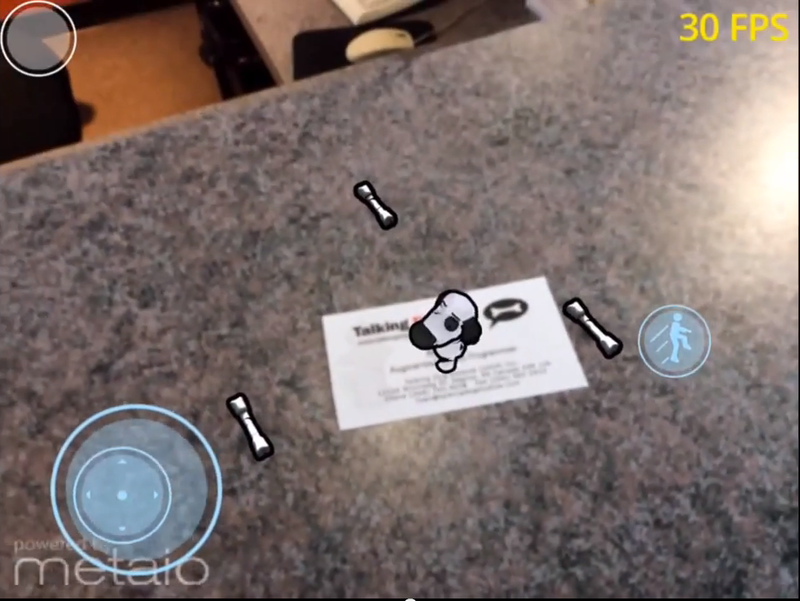 All of the 3D models, and the AR interaction were built in-house by the Talking Dog team. Other experiences Talking Dog showed included a tiny cartoon dog who appears on my business card when looked at with my iPhone. There's an on-screen joystick and "jump" button to move him around the screen collecting bones. Silly? Sure, but as a proof-of-concept to start the discussion of what somebody else might want to place on their business card (as a way of breaking the ice at business or sales meetings), that little dog was a charmer. We also got some good feedback on a new virtual 360 experience we've been building, which we previewed at the show, more to come on that one in the next few weeks. Katrina's a very positive, high energy person, with a great product that got lots of good response. We had a great time showing our stuff to the attendees at Ad:Tech. Thank you once again to SMPIA for their generous assistance in getting us to this show.